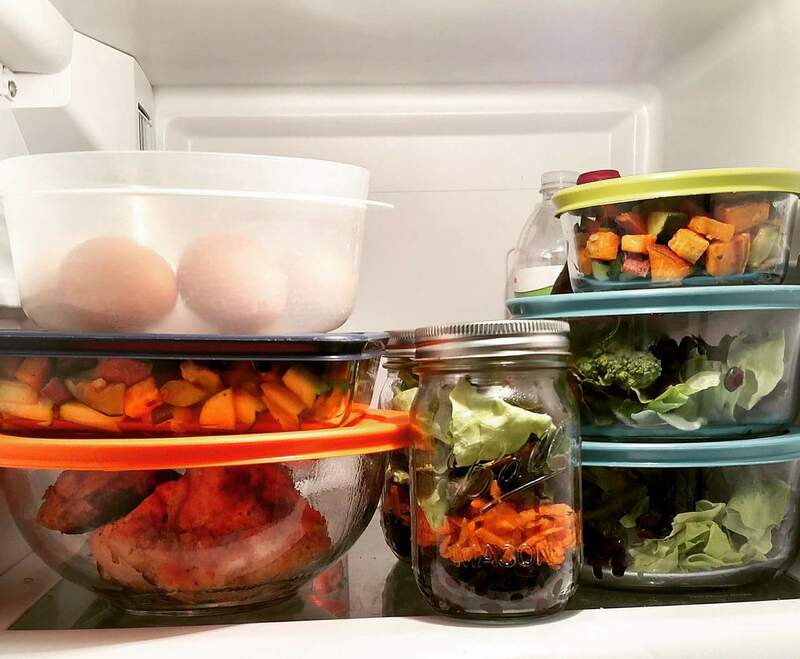 Meal prep has become the new freezer cooking. For years everyone was obsessed with adding meals and meal components to their freezers so they could quickly pull out supper each night to thaw and reheat for their families. When moms would have a new baby, we would arm them with tons of meals so they wouldn't have to worry about cooking for a week or longer. I was very much apart of that movement. In a way, I still do some of those things. Now, all I read and hear about it meal prep. I see magazine worthy photos of fridges stacked with containers upon containers of prepped food ready to go for the week. Simply grabbing one and going about your day. Is this something you've tried to help in simplifying your own busy schedule? I think it can be an overwhelming thought for sure when it comes to getting started with meal prep. There's so much information out there, and you probably think you need to have a whole week's worth of meals in the fridge ready to go. While, you can certainly do that and maybe that's what works best for you. It's not the only way. Buffet style is one that I choose to implement in my own house, and one that I've done for several years now. Some weeks are better than others, but I always try to make sure we have a couple things at least ready to go. What on earth do I mean by buffet style meal prep? I'm talking about having foods like hard boiled eggs, cut up veggies and fruits, roasted root veggies, grilled chicken, prepared quinoa and brown rice all prepared and in separate containers in the refrigerator. When it comes time to eat, you can choose from a variety of foods you have prepared to create your lunches, etc. If you're not one that wants to eat the same exact dish for multiple days, then this would definitely give you the potential for more variety. I think it's important to think about your own personal schedule for the week, your family's needs and what you all like. 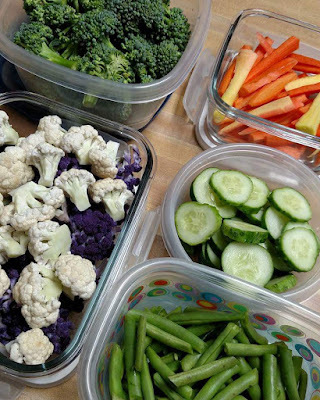 This will help you to determine which foods will be best to have prepped. You can certainly make up some soups, chili's or casseroles/one dish meals so those are ready to be reheated. Cauliflower rice: prepackaged is just fine! If you begin with even a couple of items from each of the categories, you'll be able to put together some really healthy meals for your day. It will help to reduce stress, save you some money and save time. I hope that gives you a better understanding of how buffet style meal prep works. Let me know how it goes for you, especially if this is a whole new concept for you. I'd be interested in hearing what you think. And now for that Visa gift card giveaway I mentioned in the title. For the past eight weeks I've been participating in the Live Healthy Iowa's ten-week wellness challenge. We're getting down to the end and it's been a great experience. My team sponsor, Iowa Food and Family Project has sponsored this post and is giving one of my readers a $25 Visa gift card. How great is that?! To enter, head over to the Facebook page to enter. I will have a pinned post at the top, you will answer the question there and be entered. I will draw one winner on Wednesday, March 21st. Good luck! 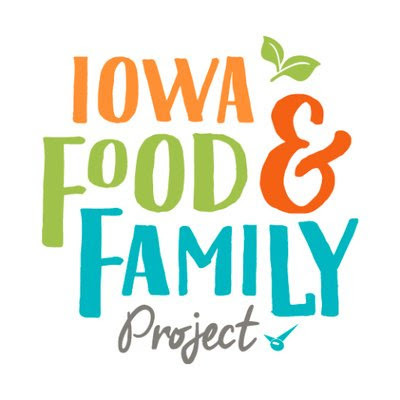 A big thank you again to the Iowa Food and Family Project for another great experience with the Live Healthy Iowa Challenge. I always love being apart of this team!